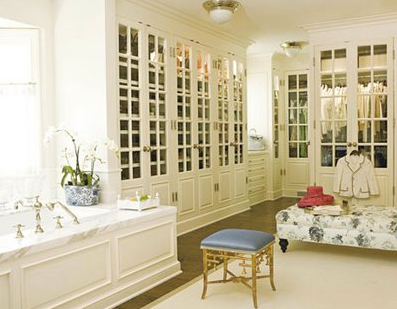 I love the mirrored closets and how the closet and bathroom form one luxurious suite. 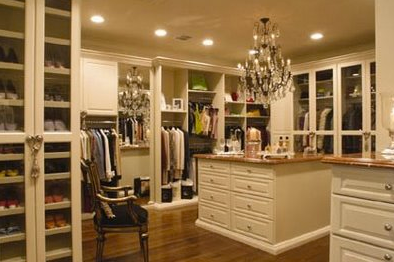 An office in a closet! This one is WAY more chic than my sad attempt. Is this a closet or a store?!? This is more realistic. There is a slim chance I could find a closet this size on Capitol Hill... I love the blue and green! 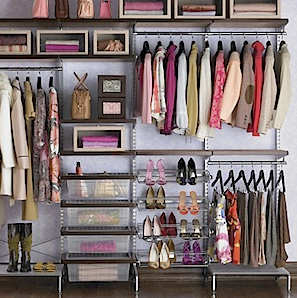 Do you dream about an uber closet? Wow, I love them all! I have been doing the same thing...trying to get organized. I have purged a ton of clothes and shoes and I still have so much more to go! Ugh!